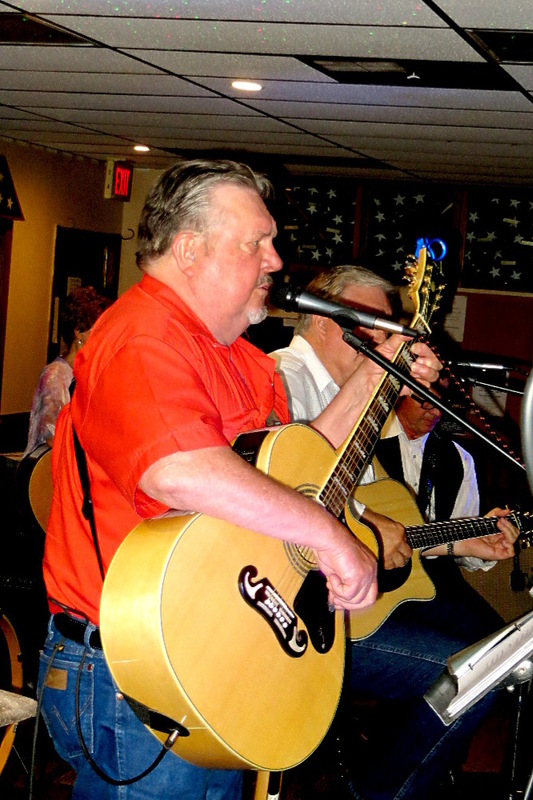 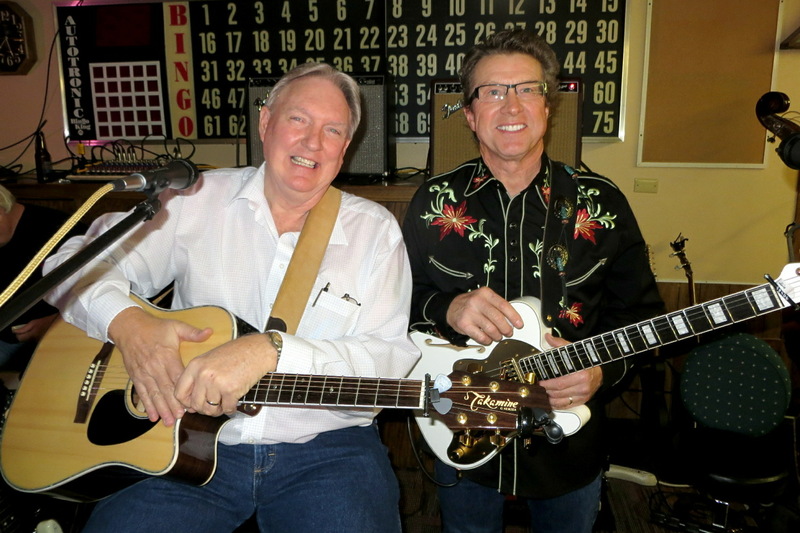 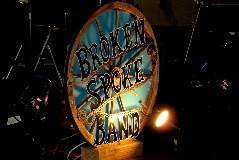 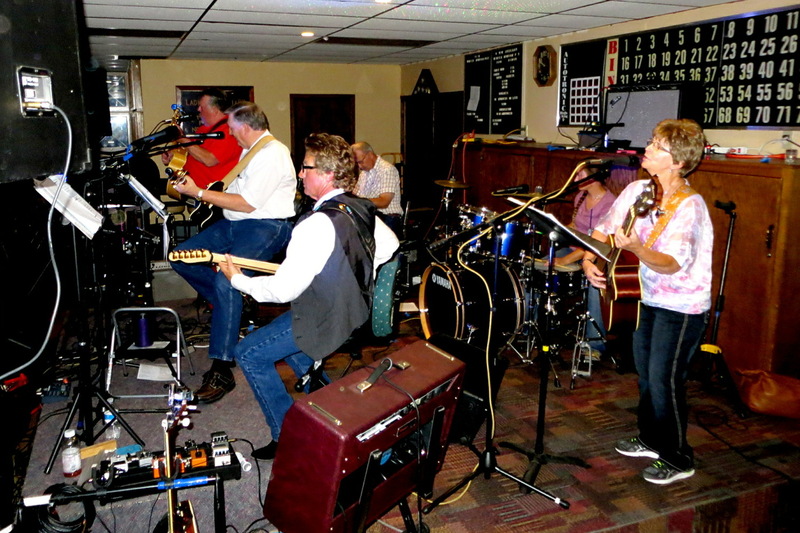 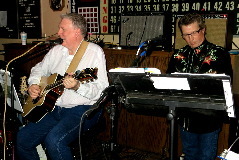 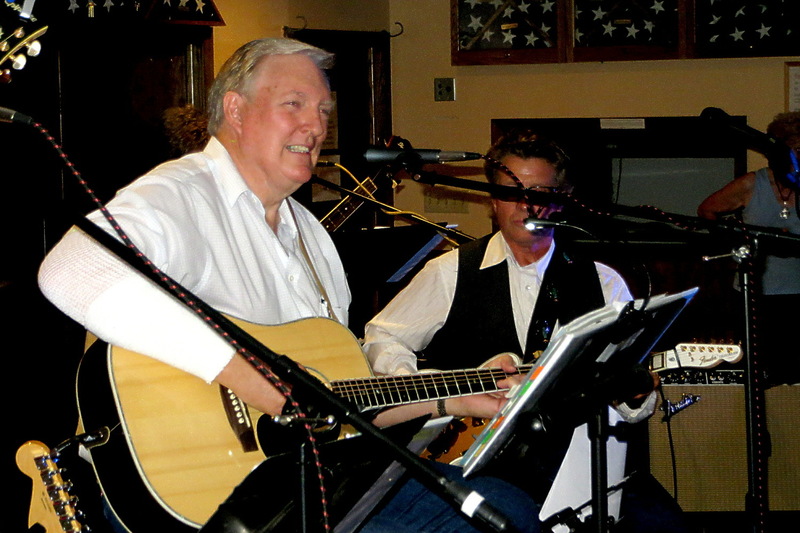 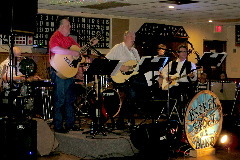 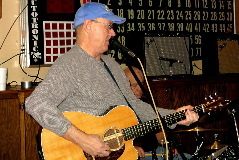 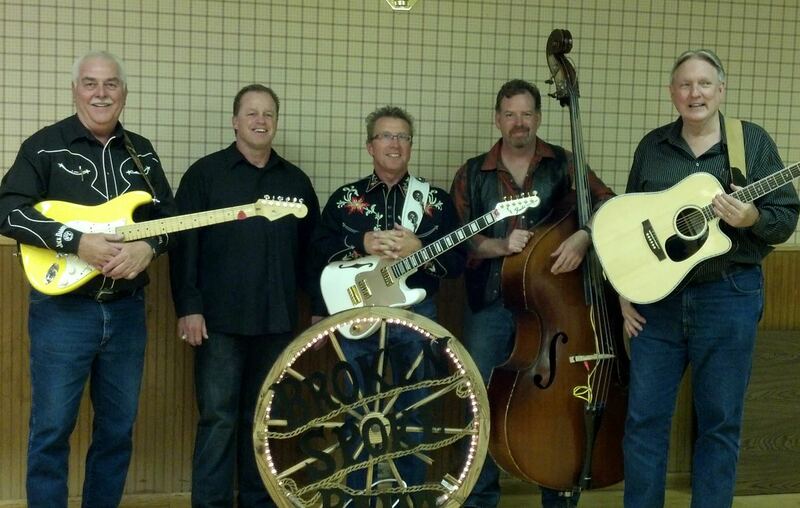 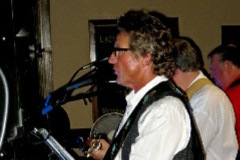 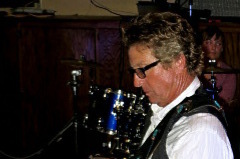 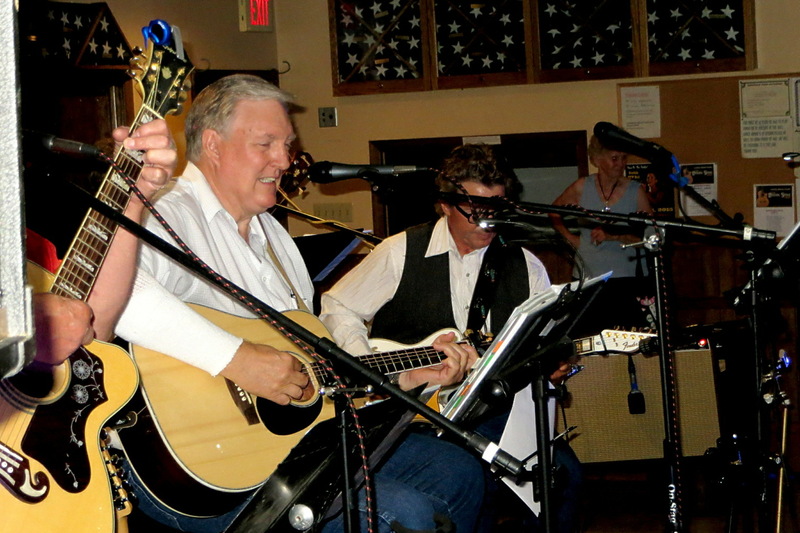 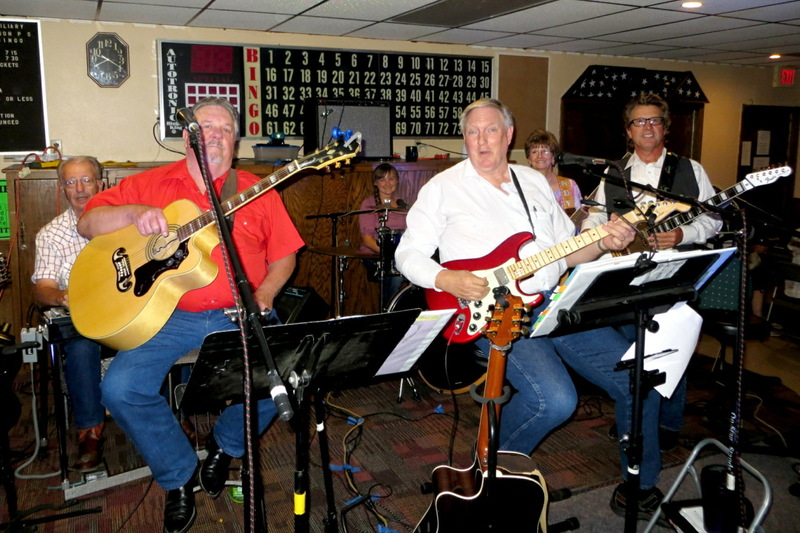 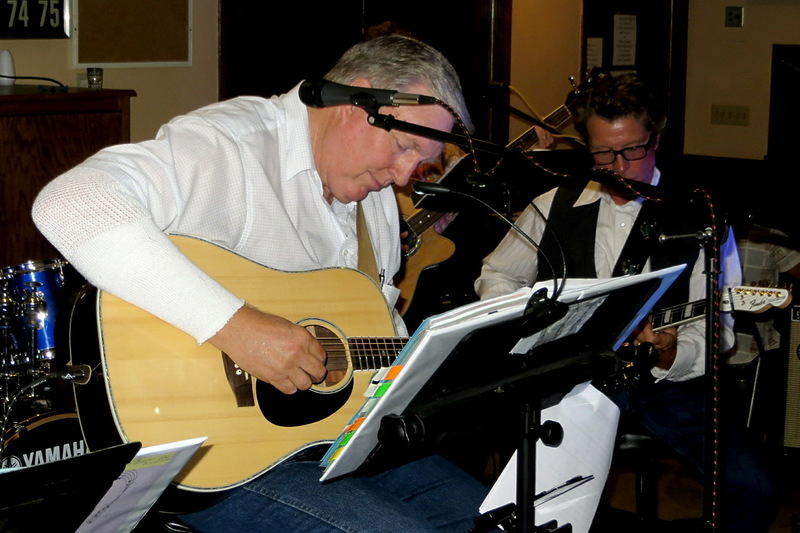 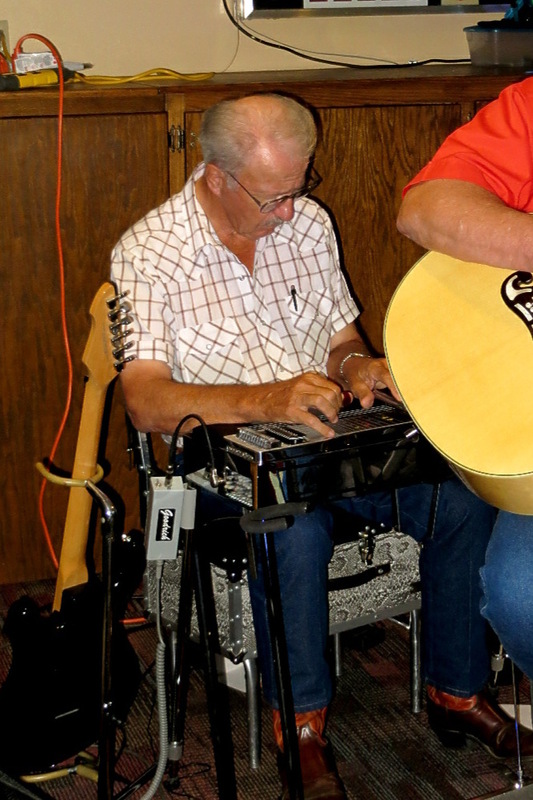 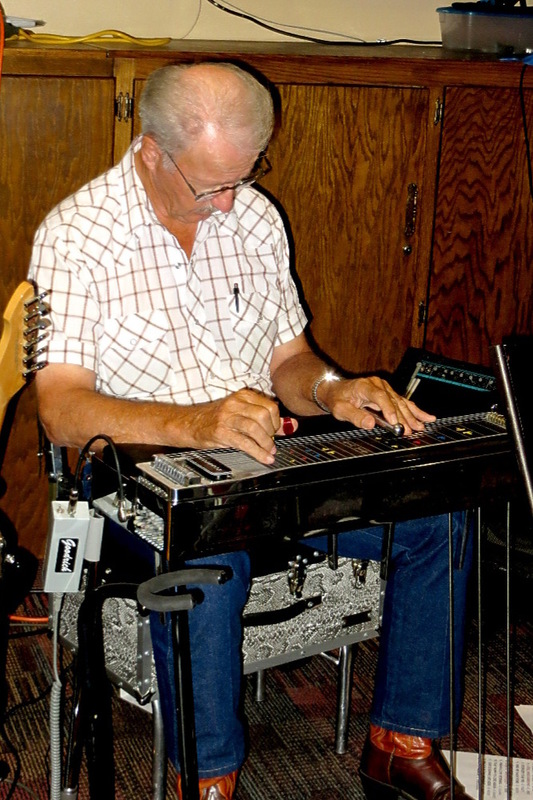 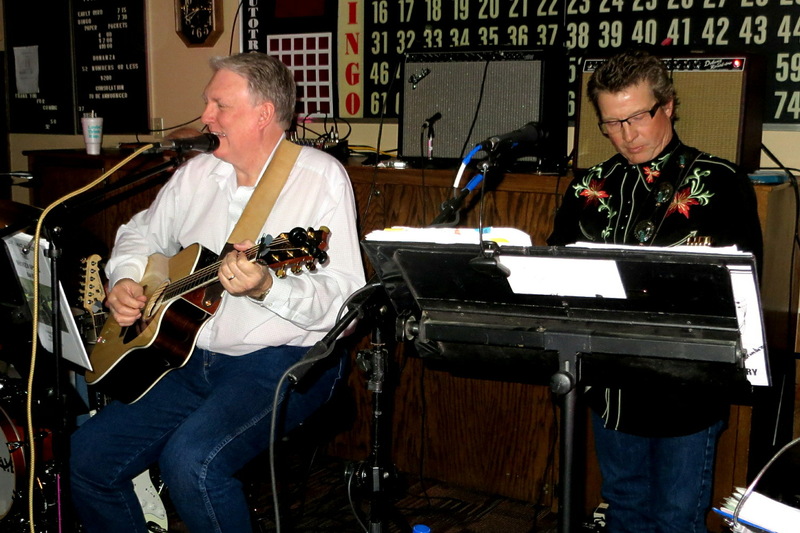 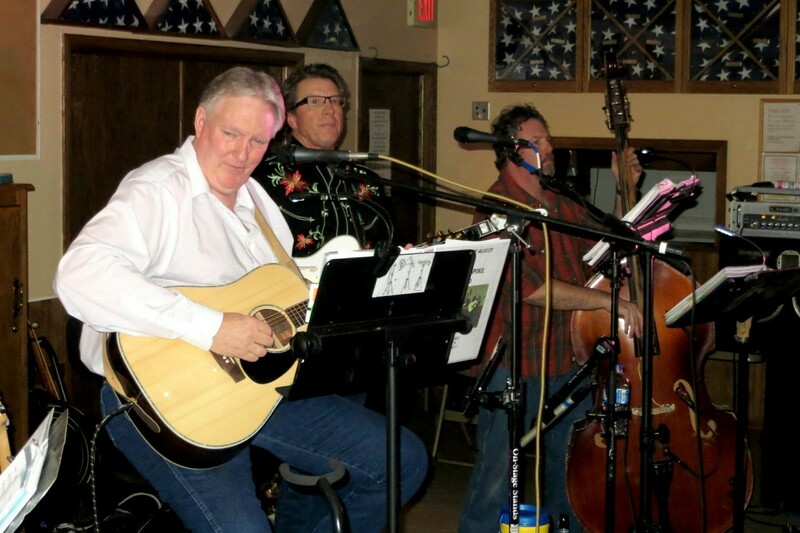 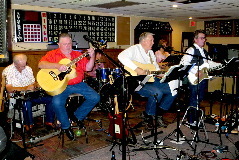 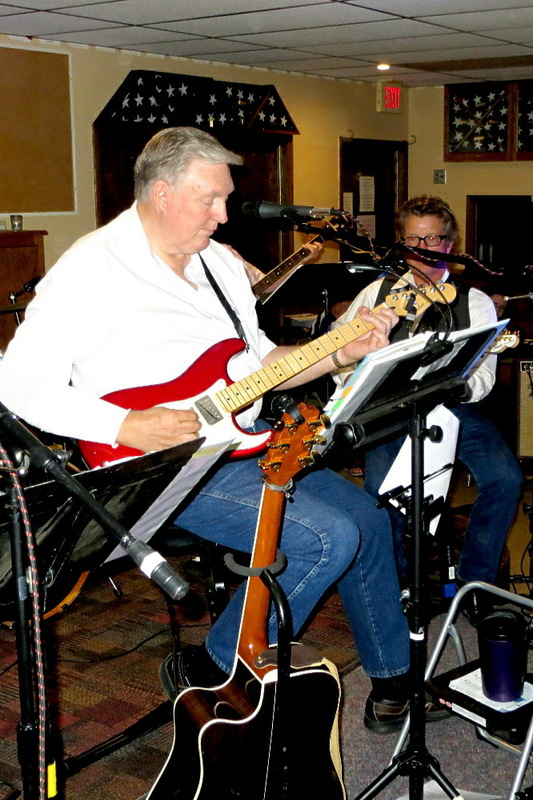 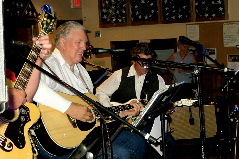 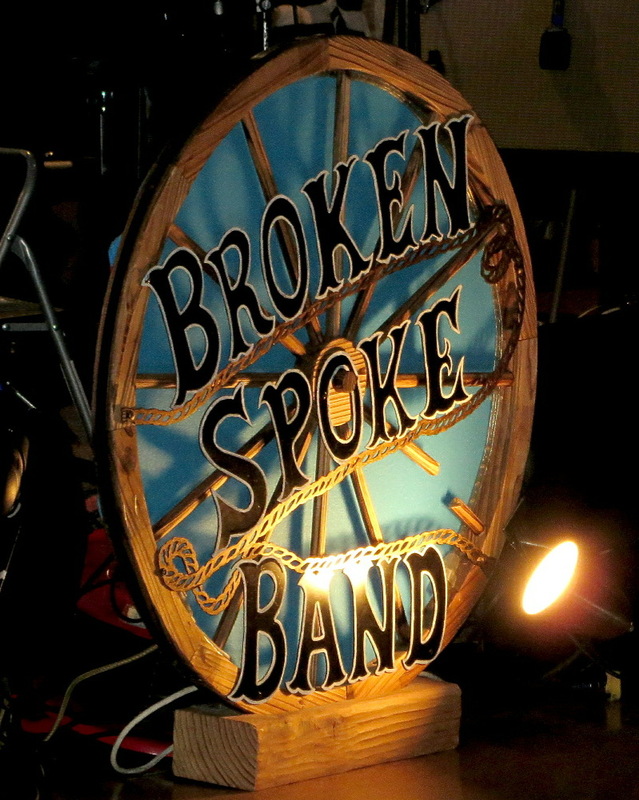 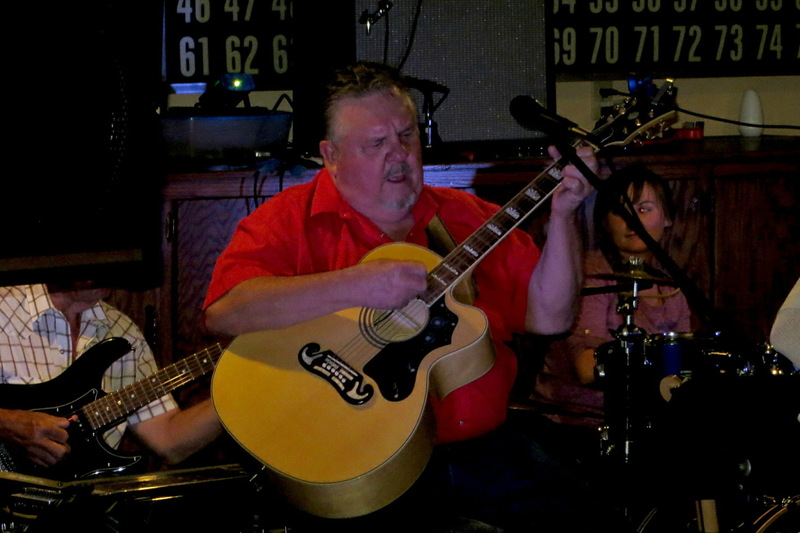 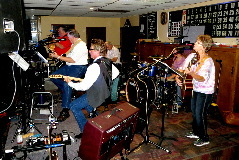 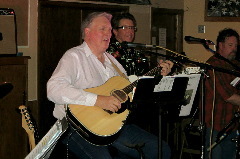 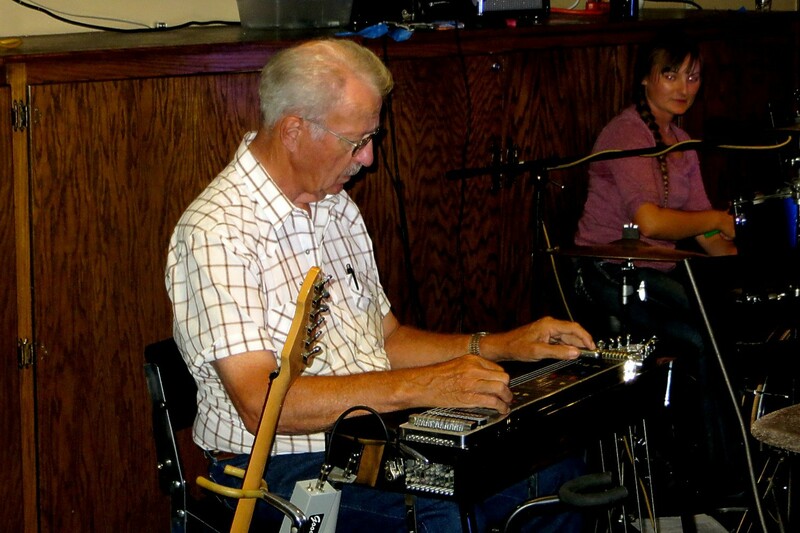 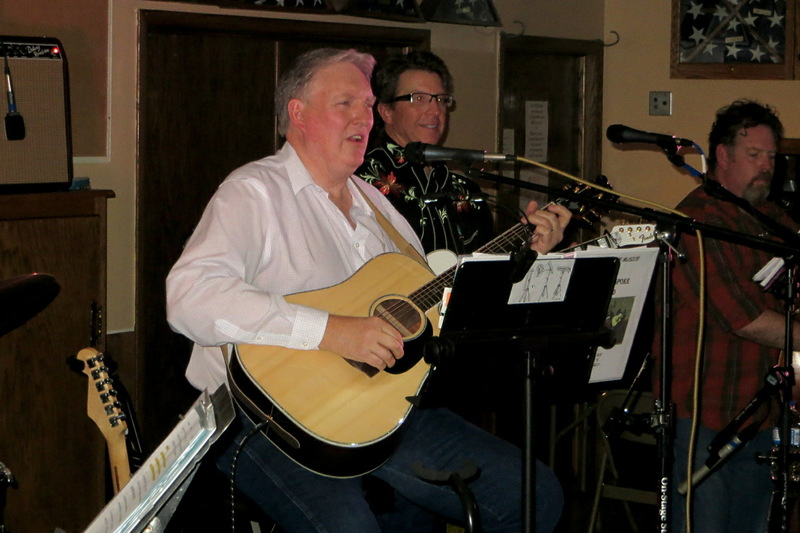 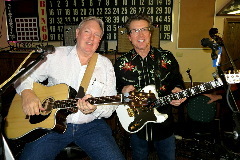 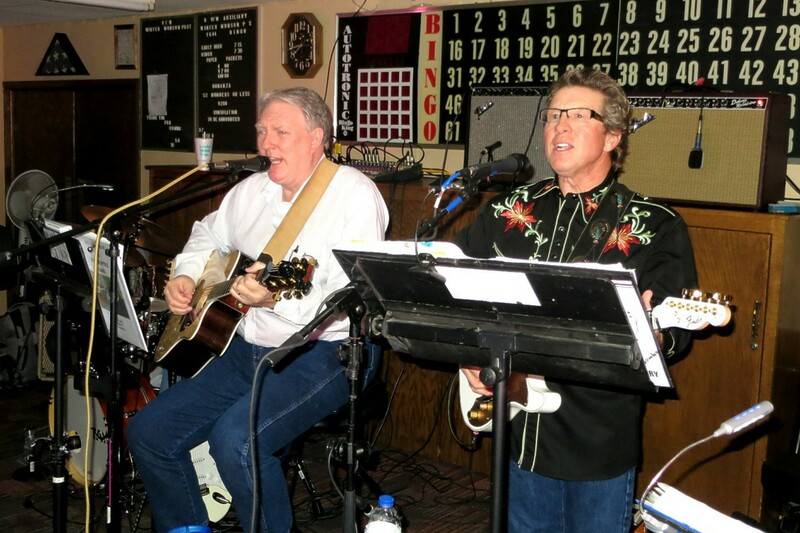 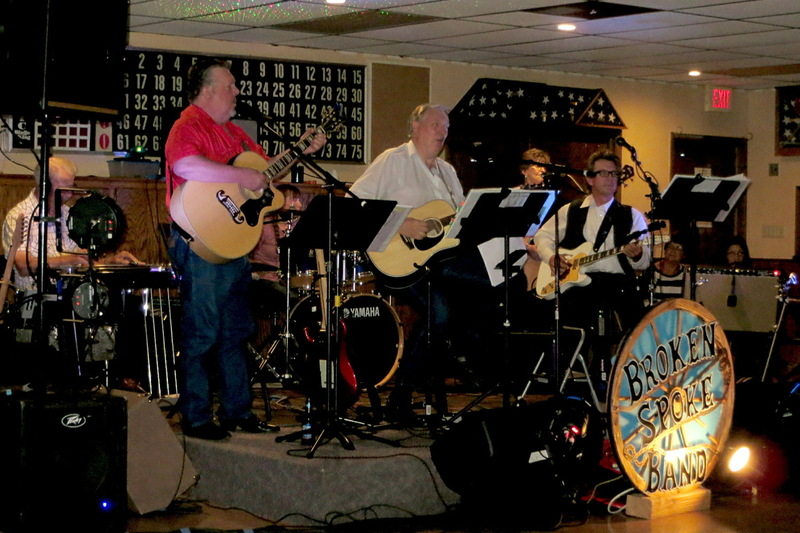 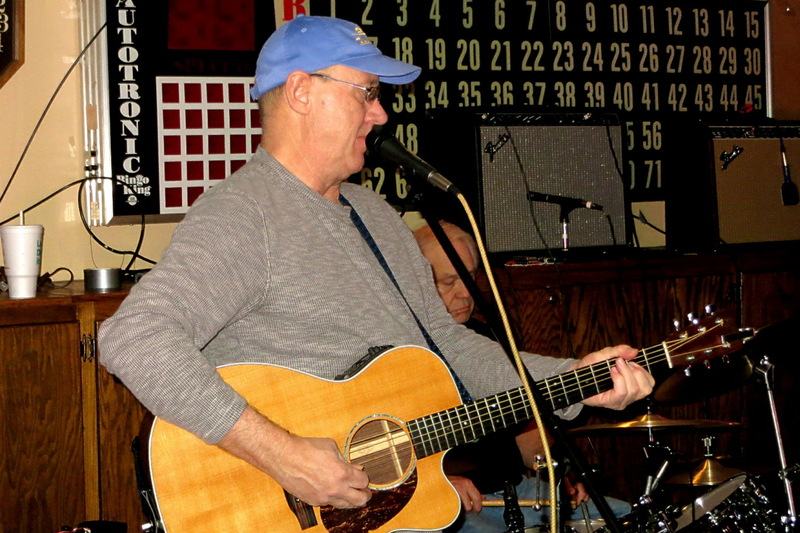 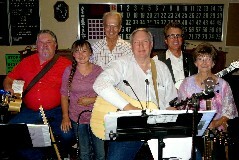 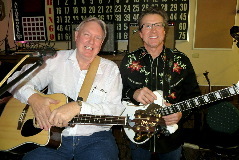 The Broken Spoke Band was formed in the spring of 2012 when 3 guys got together to jam at the home of Vern and Barb Descombaz in Battle Creek, Nebraska. 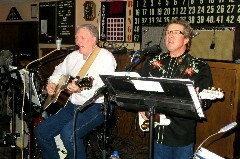 The three were Vern Descombaz, Mark Buckingham, Norfolk and Clark Kinnison, Pierce. 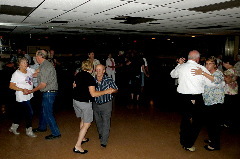 Vern asked the other two if they might like to play for a dance if	he could arrange one. 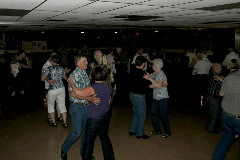 They agreed and that’s when the fun began... 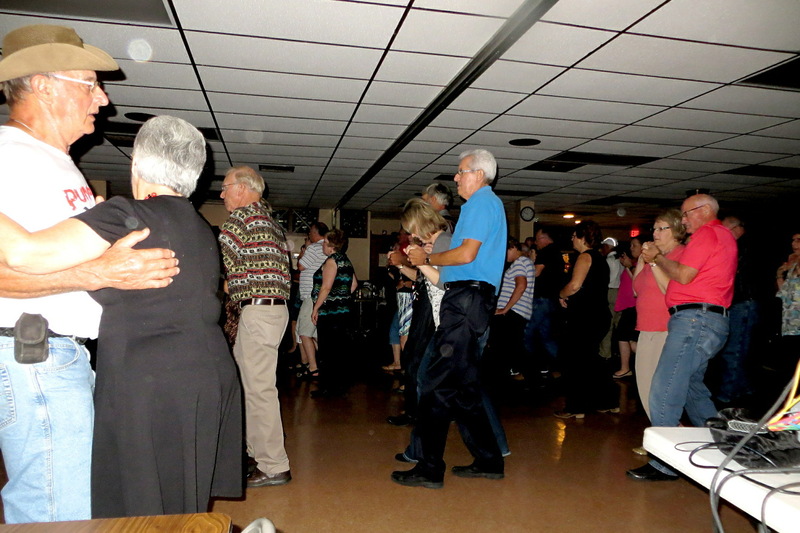 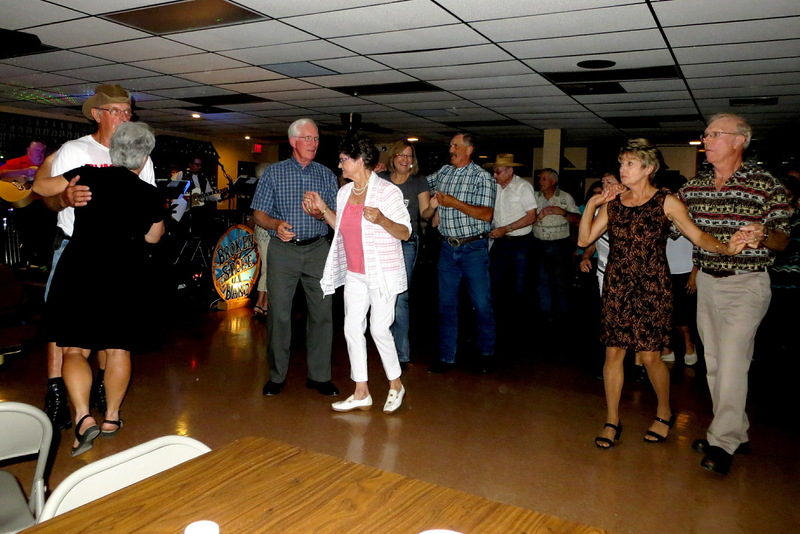 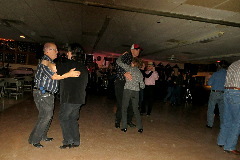 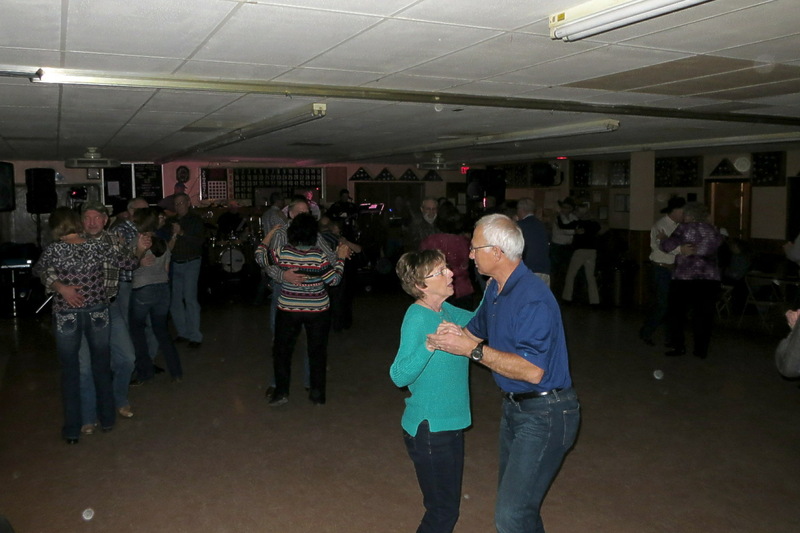 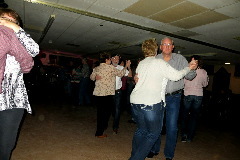 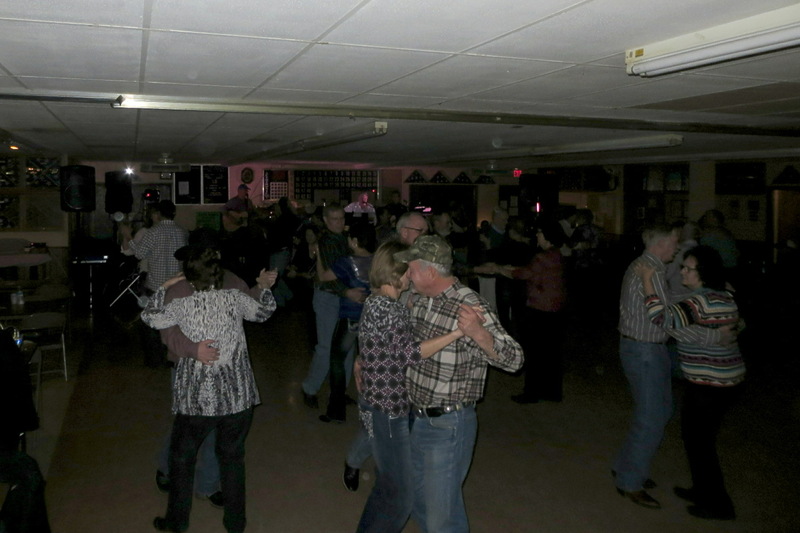 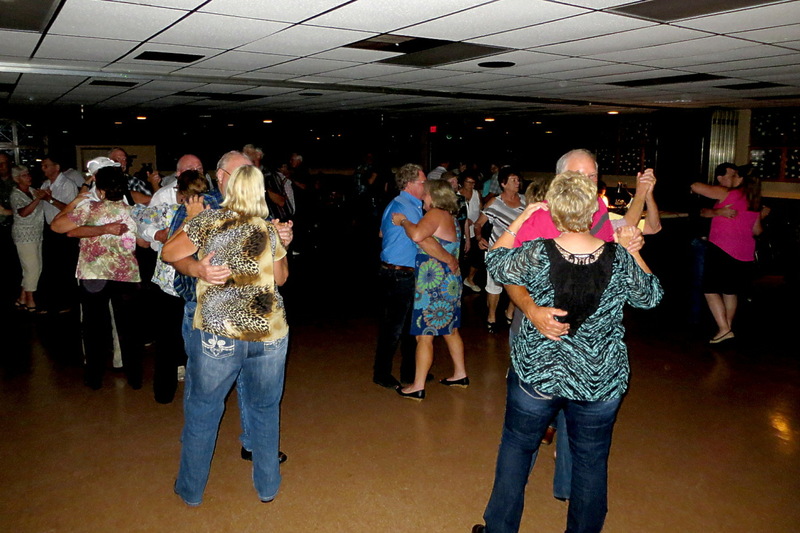 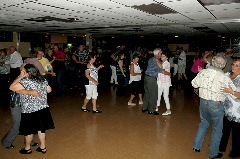 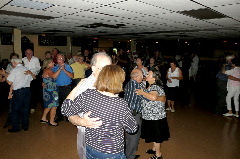 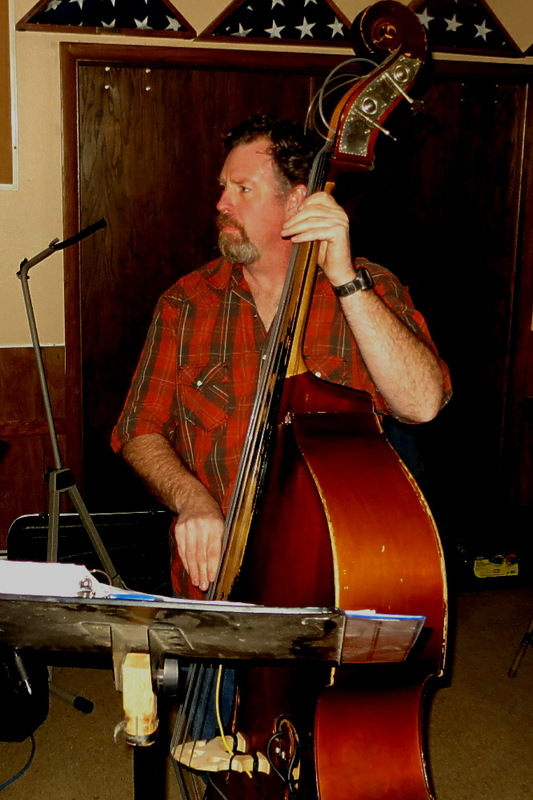 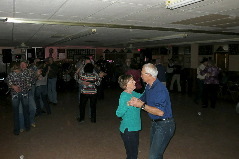 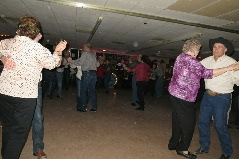 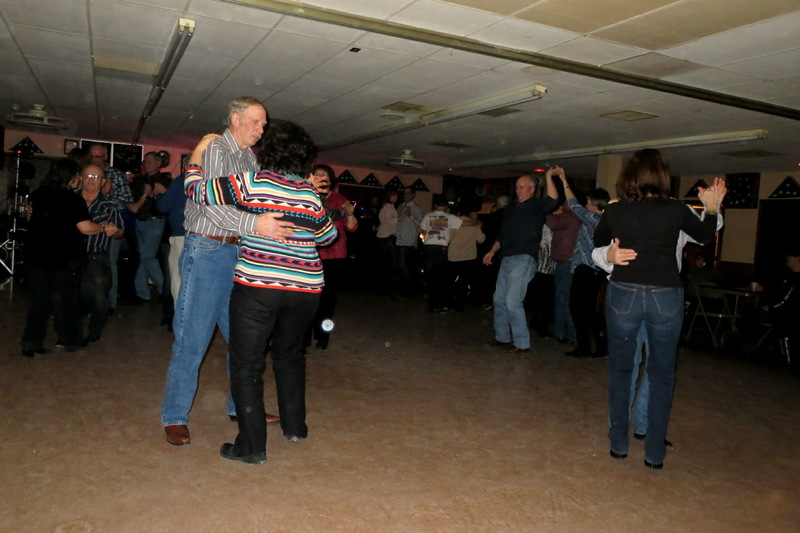 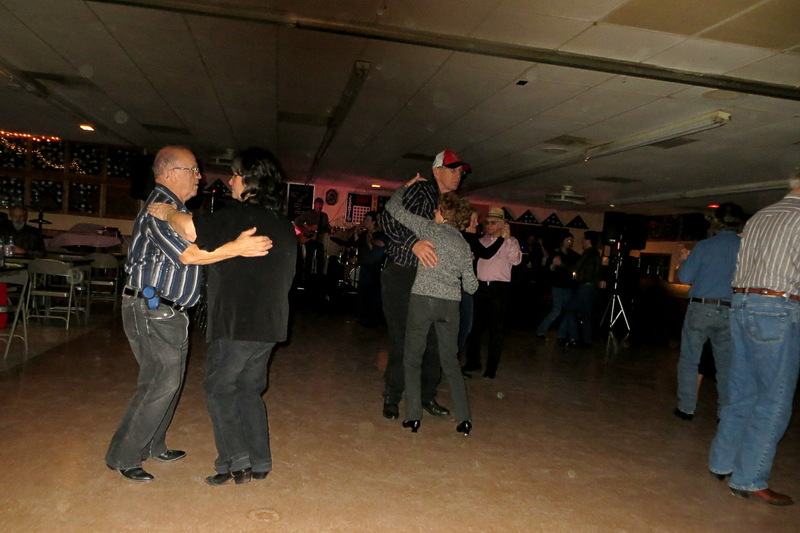 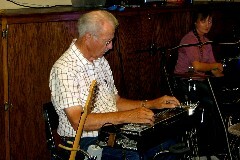 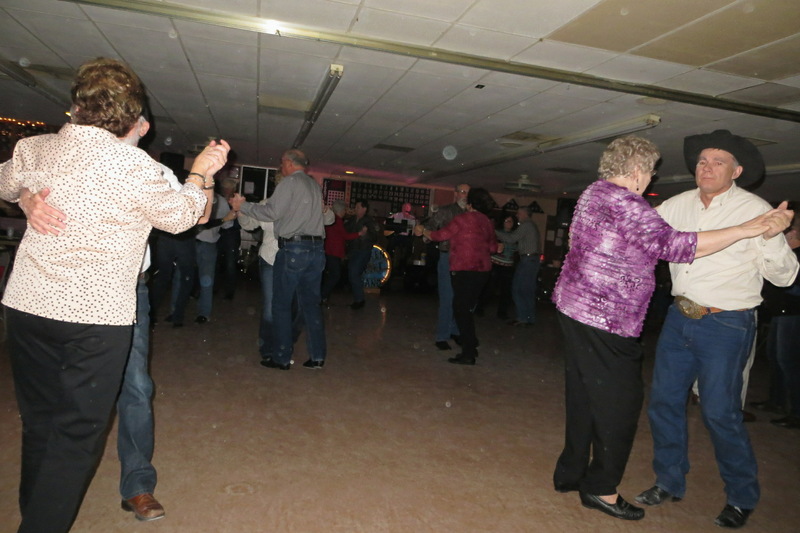 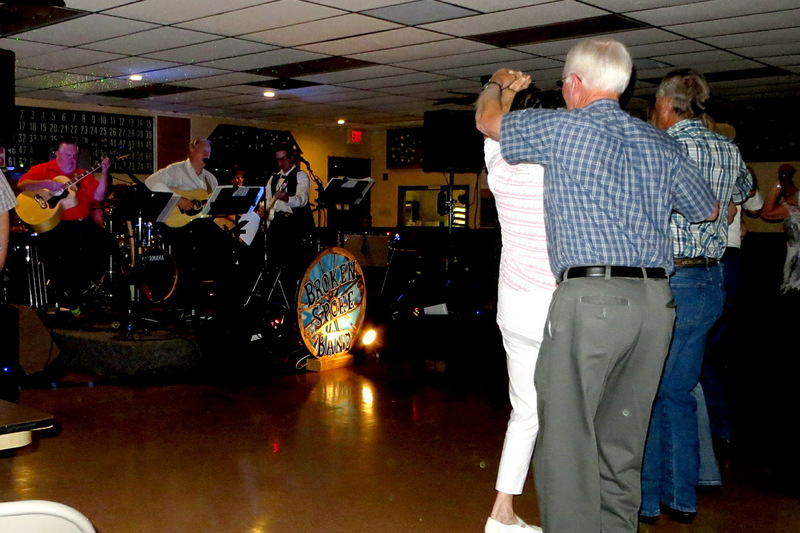 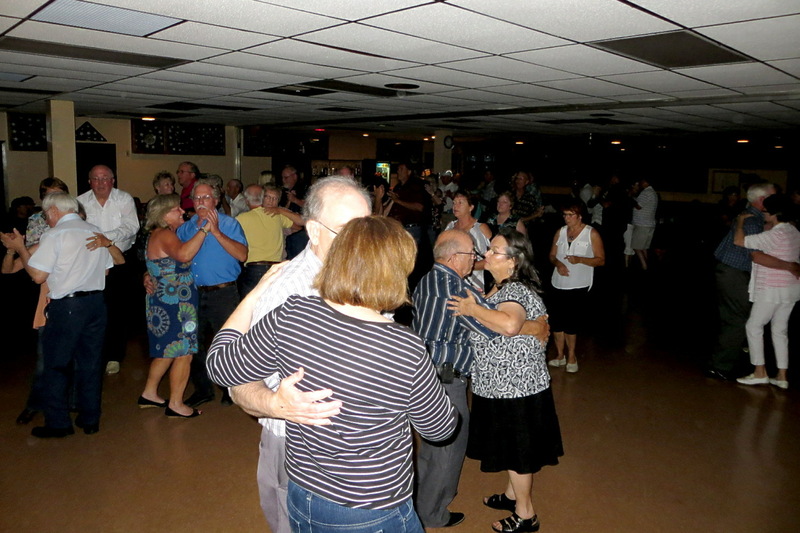 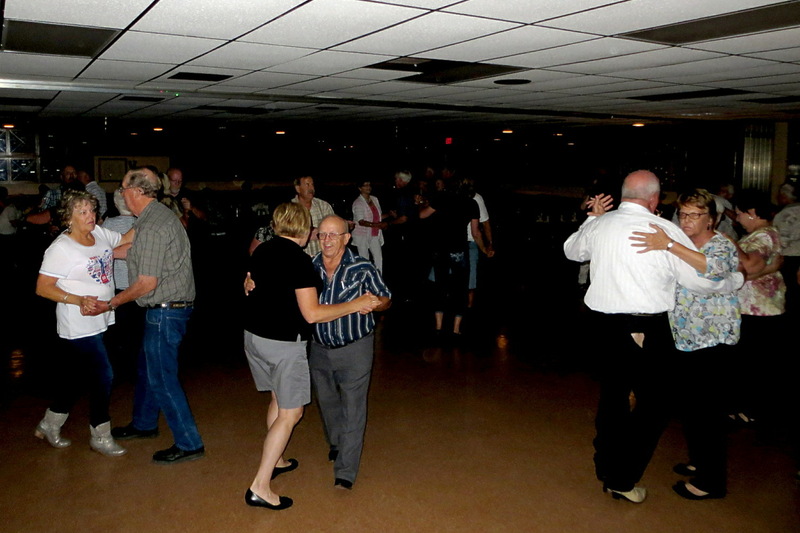 They eventually found a bass player and drummer and began playing for area dances. 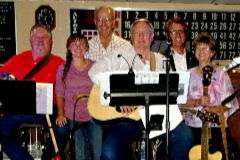 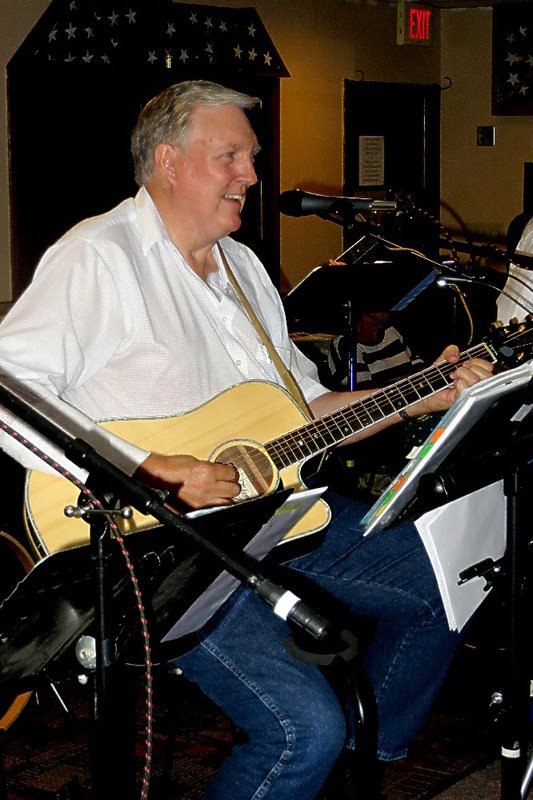 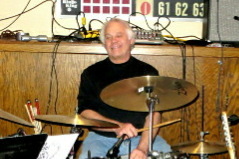 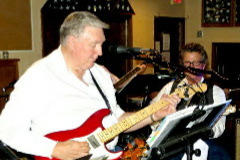 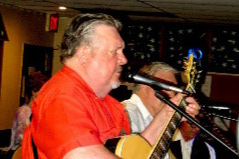 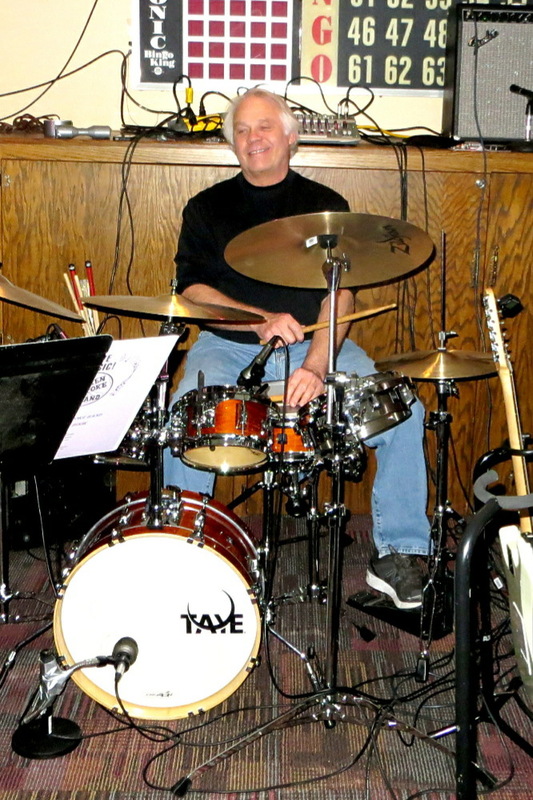 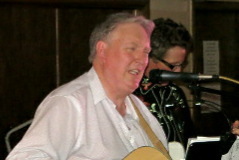 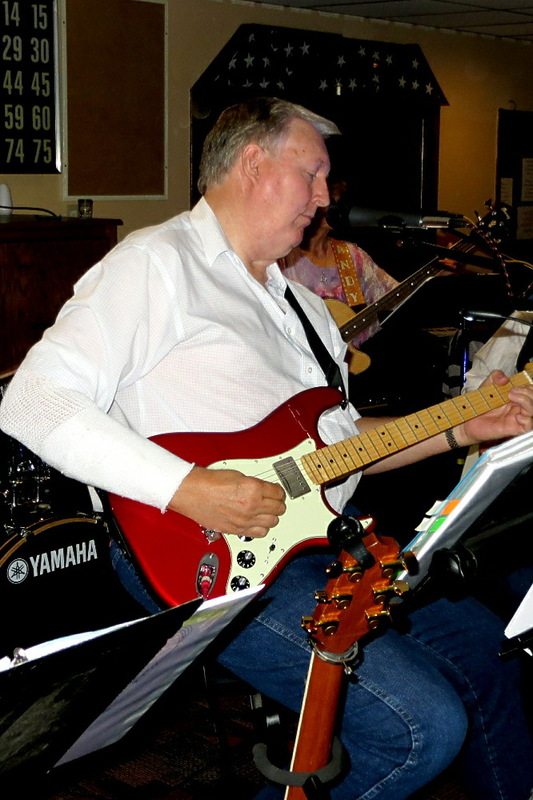 Vern, who is responsible for the band’s formation and name, was soon diagnosed with cancer but kept playing and, along with wife Barbara, maintained a positive and triumphant attitude. 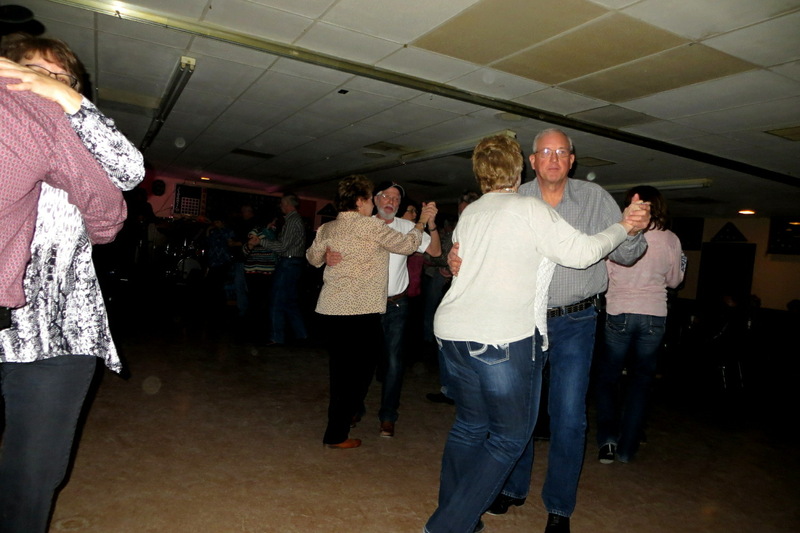 However, he finally succumbed to the disease on Nov. 18, 2014. 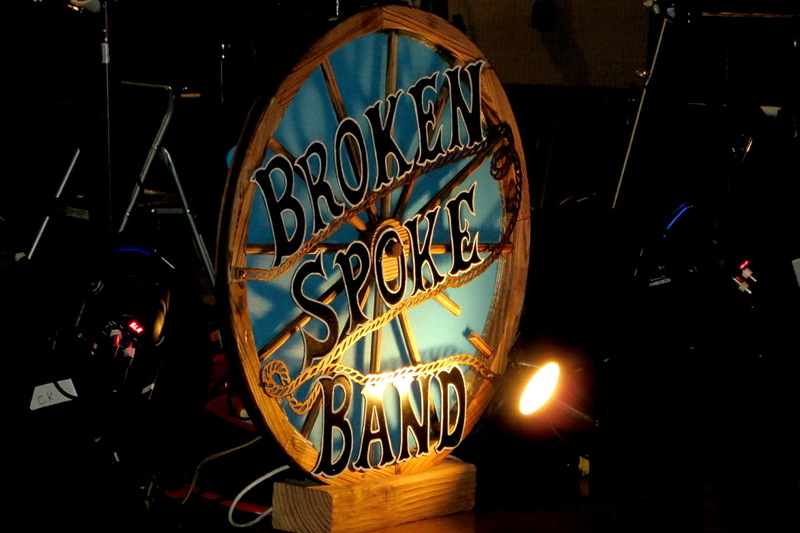 Although the band has changed since that very sad time Buckingham and Kinnison have carried on the Broken Spoke band in honor of their dear friend. 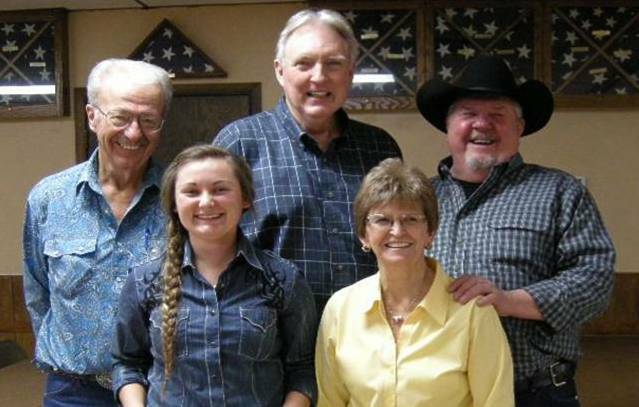 Vern had many, many dear friends and a smile as wide as all Nebraska!! 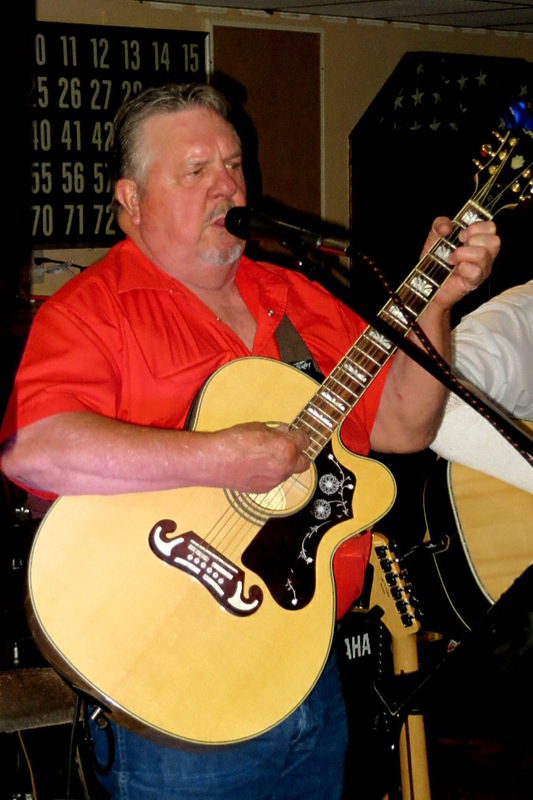 We love you Vern and we think about you every day. 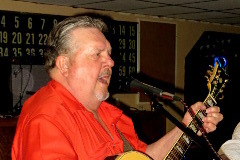 Clark Kinnison grew up in Edgar, Nebraska, a town of population 730. in South-central Nebraska. 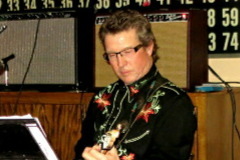 He got his first guitar on Christmas Day at age 8. 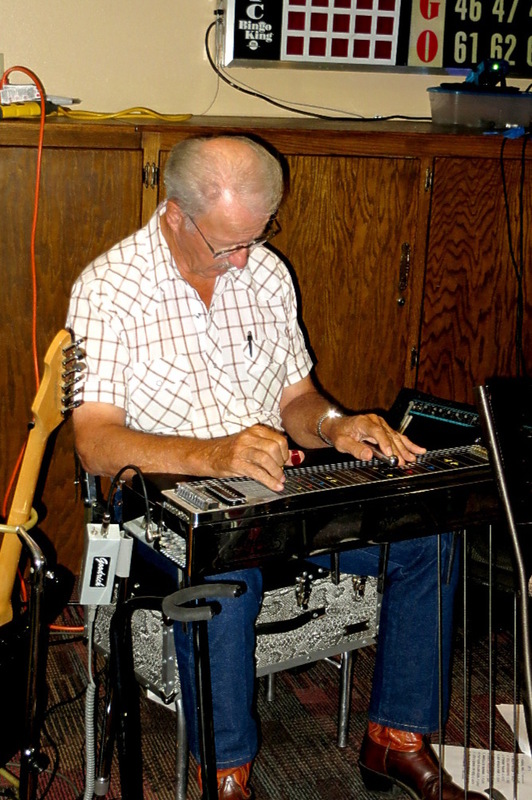 He took lessons a couple years, then taught himself from there. 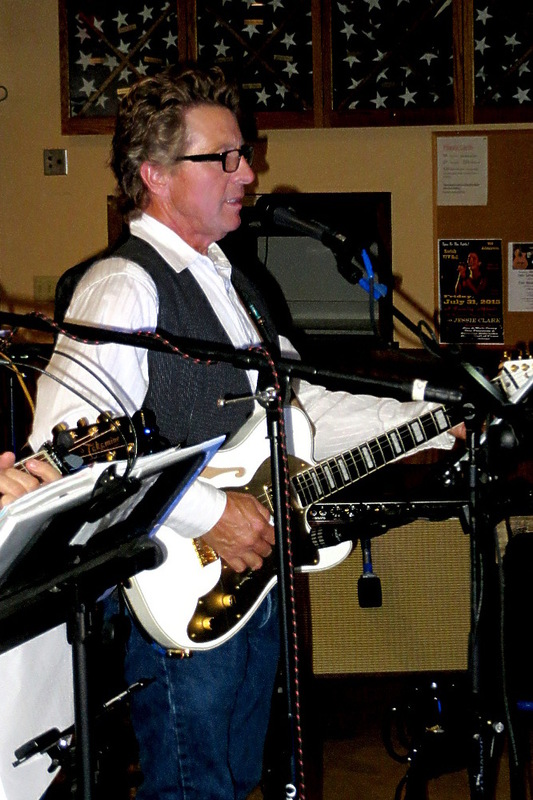 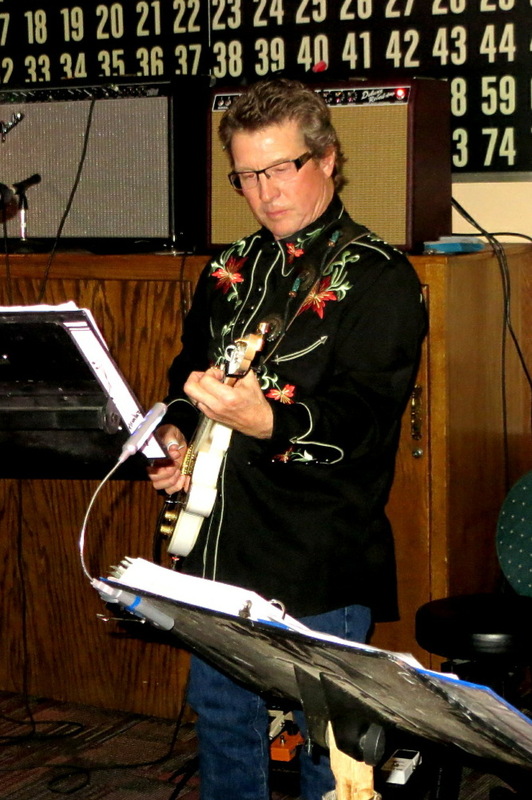 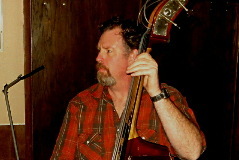 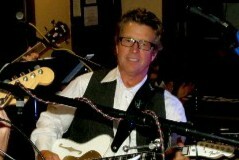 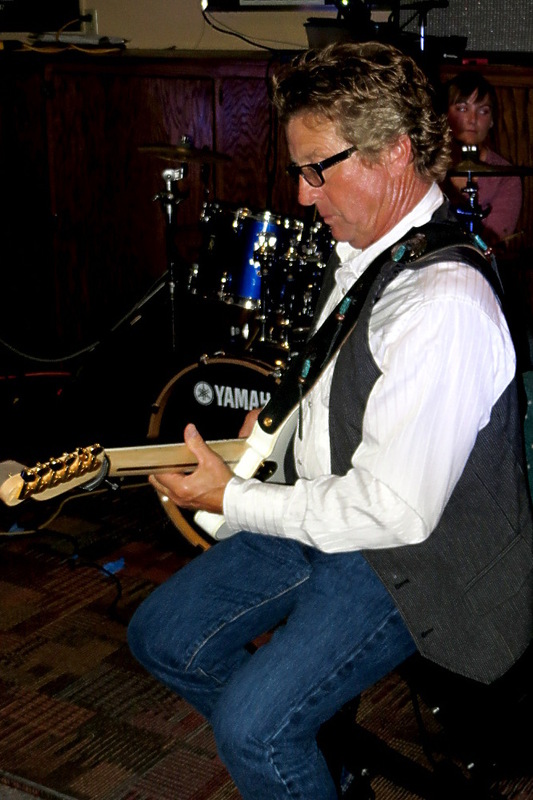 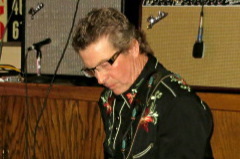 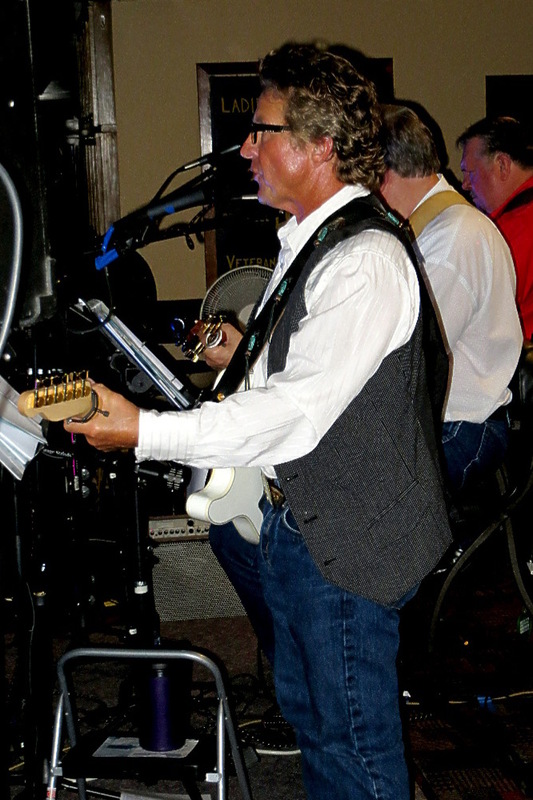 He joined his first band, David Jensen & The Fugitives, at age 14. 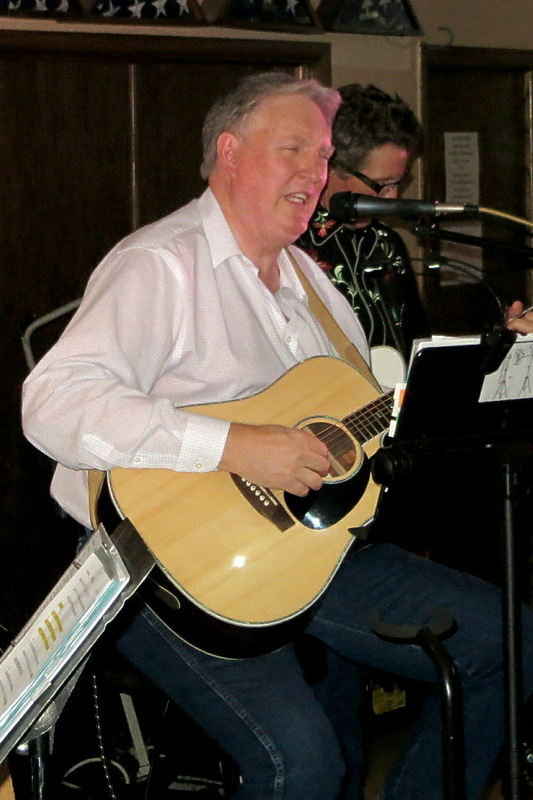 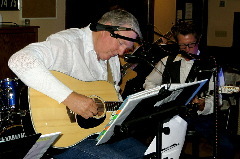 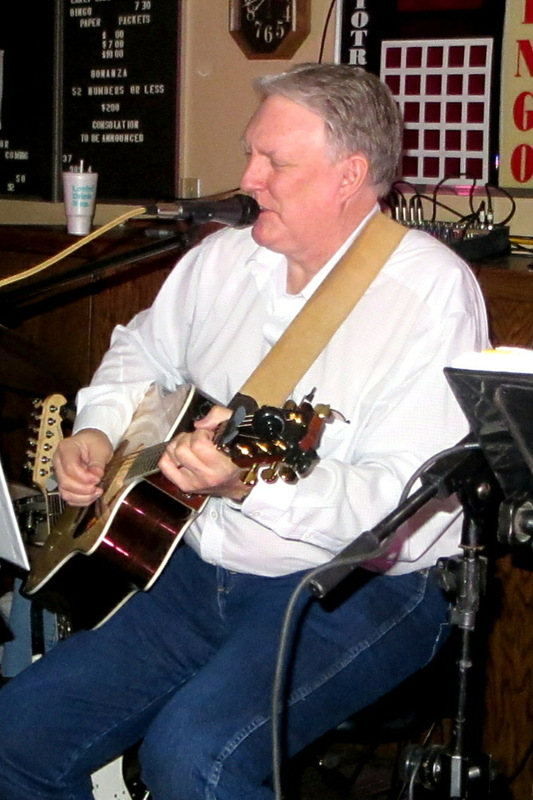 Since then he’s played in a few other bands including the Blue River Band and BlueGrassFire but comments, “I'm REALLY enjoying playing with Broken Spoke. 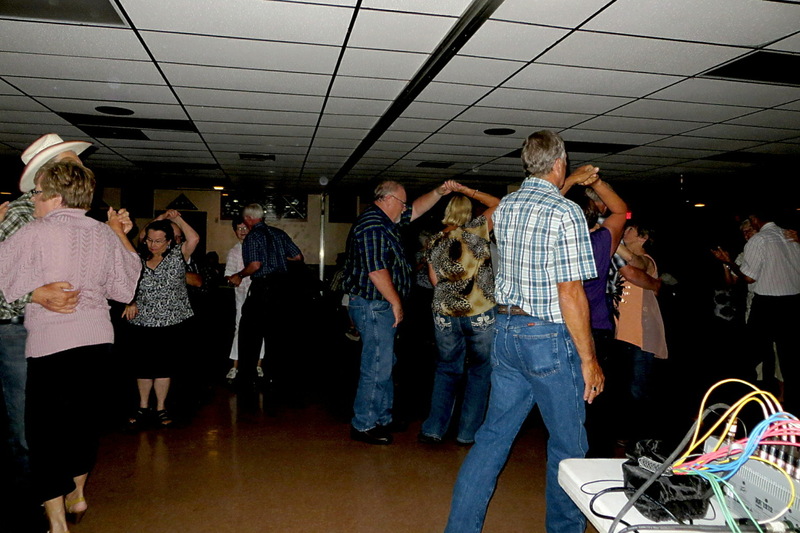 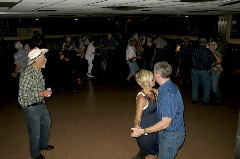 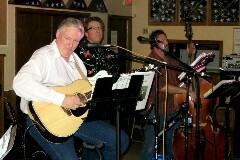 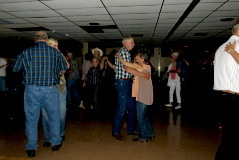 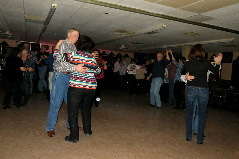 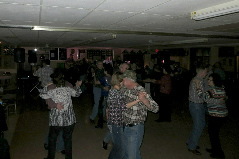 It's playing 'back to basic country dance music’ with great friends that just want to have fun playing music”. 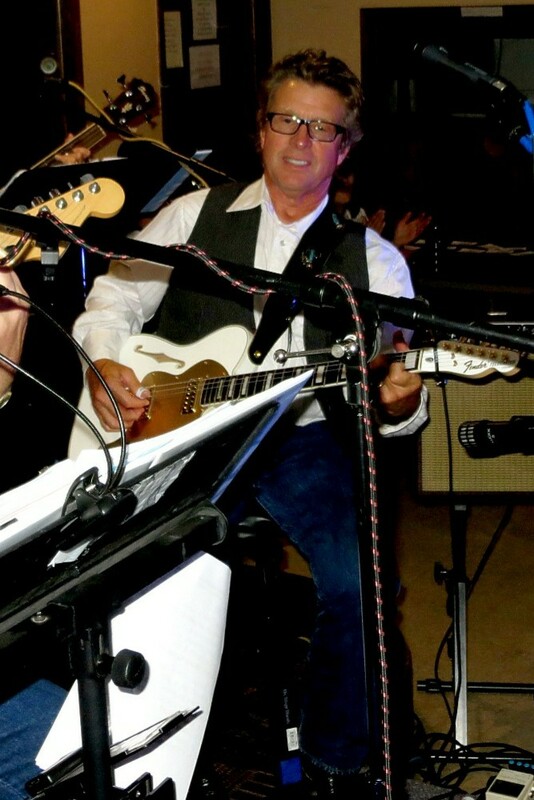 He says, “to me, this is what making music is really all about, having a lot of friends with great friends”. 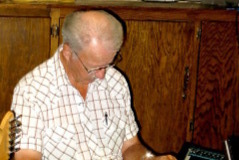 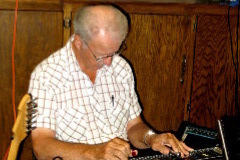 Sandy Miller grew up on a ranch in the sandhills North of Dunning, Nebraska. 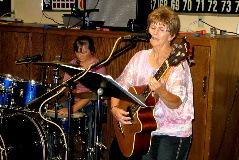 Sandy’s mother played piano and would take her and her three sisters anywhere she could around the area to sing. 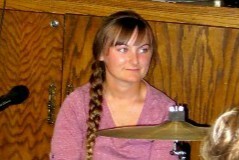 As a junior in high school, she became part of a band with her Mom, uncle and aunt. 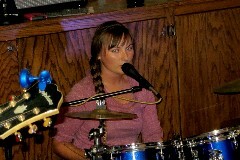 This is when she began learning a playing the bass guitar. 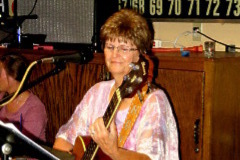 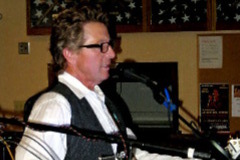 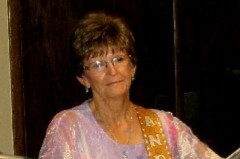 Sandy is a great songwriter penning several songs. 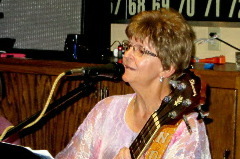 She won the Songwriter’s Contest at the 2015 Wahoo Country Music Festival in Wahoo, Nebraska with “I Better Change My Ways (Before My Ways Start Changin’ Me)”. 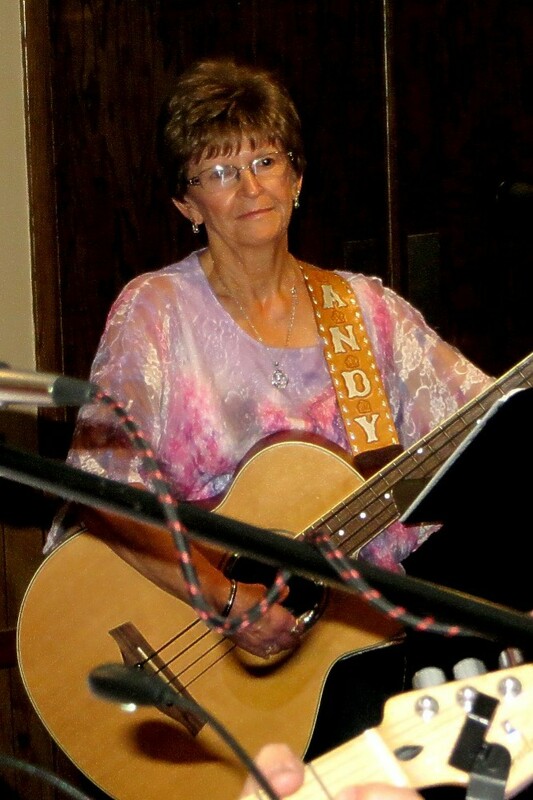 She has recorded 2 CD’s; the first entitled “Cowboy Boots and Bathing Suits”, the second “When My Time Comes (Will I Know Who I Am), a song written for her mother who suffered dementia before passing in Dec. of 2014. 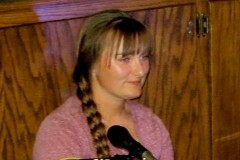 Kiley Barwick grew up on a farm and ranch near Alma, Nebraska. 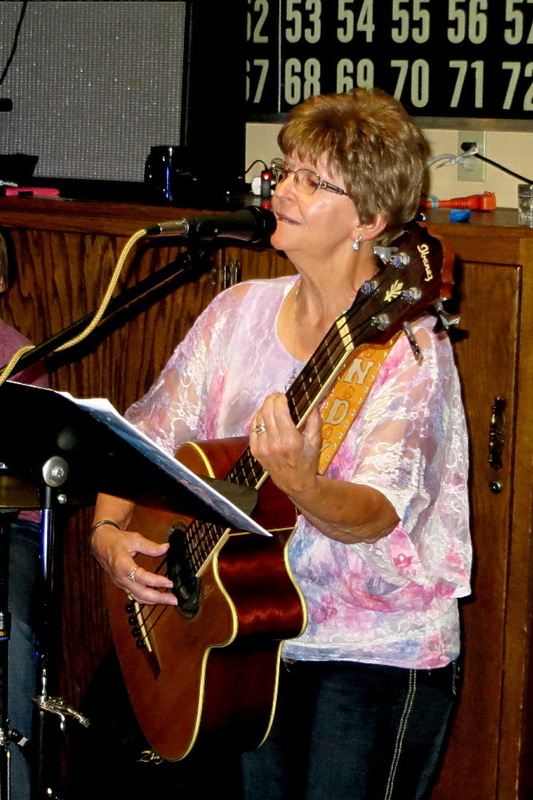 At age 3, her great-grandmother began taking her to sing gospel songs at the local nursing home in Alma. 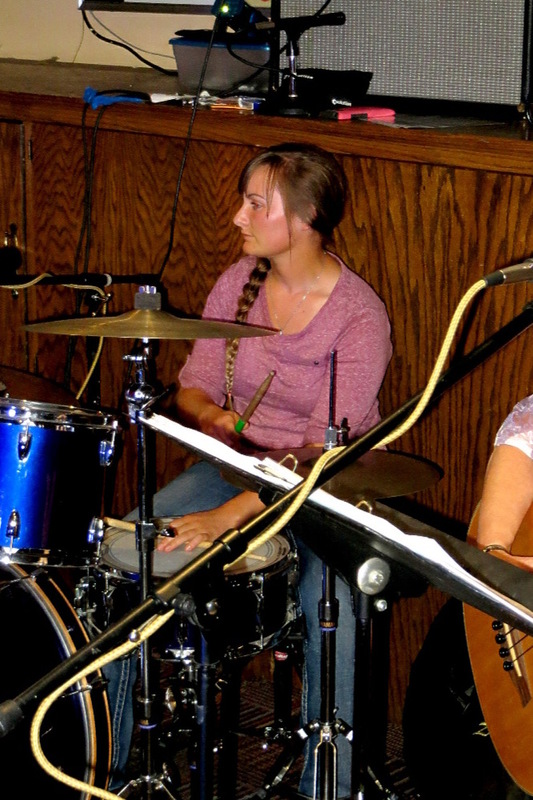 Kiley says this, and a small, but indelible, lesson on the piano from her grandmother is what is responsible for her love for music. She began playing a drum set during 7th grade and the following summer started playing local drum sessions where she got her first taste of playing classic country music. 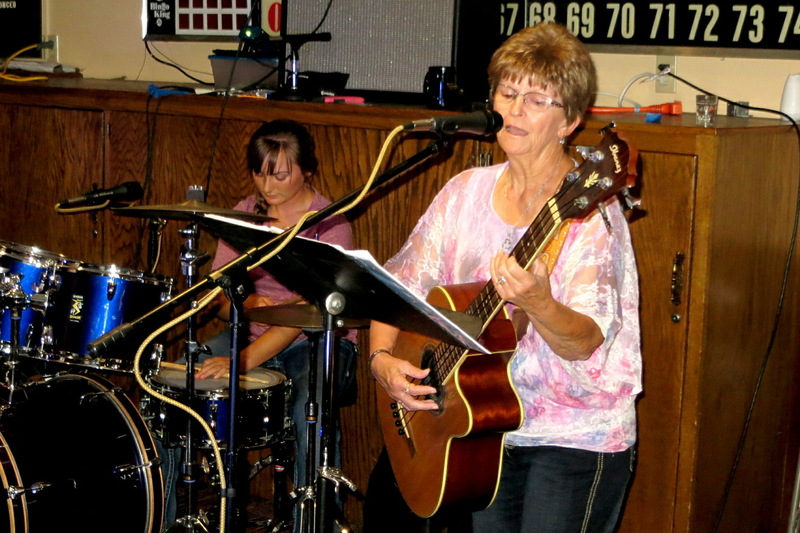 By age 13 she joined her first band LMNtree, playing classic rock’n roll and country. 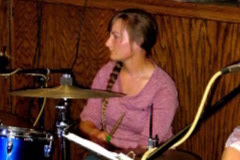 A few years later she got involved in her church band, A Little Bit of Heaven, and recorded drums on their first CD “Let The Glory Roll”. 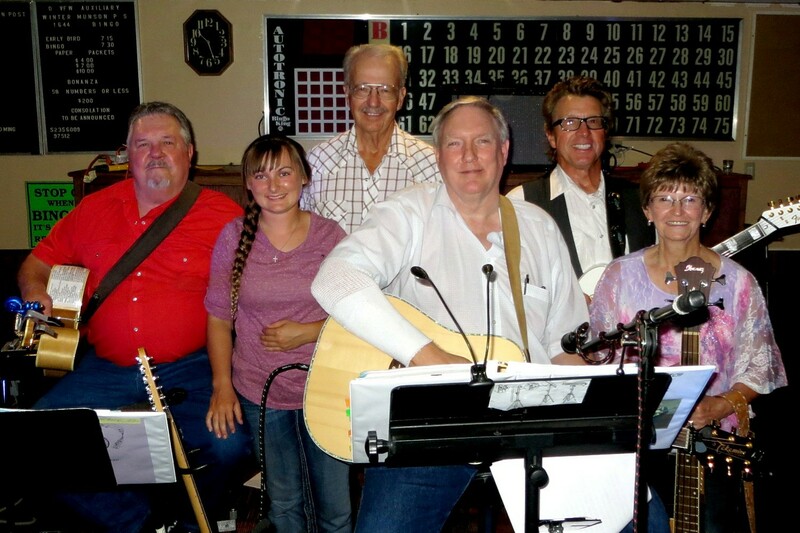 Kiley has always loved classic country music but it was taken to a new level when she began playing for dances with a country band called 120-EZ. 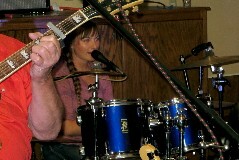 This has inspired her to begin learning to play the guitar also. 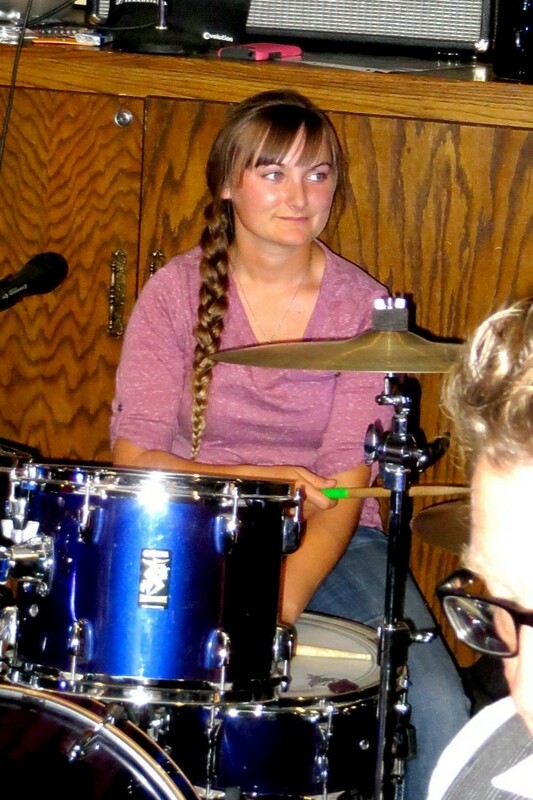 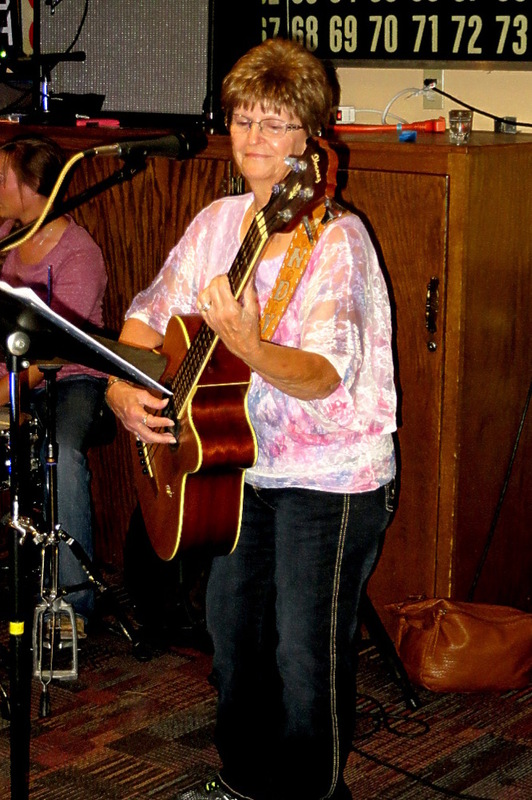 Besides playing with Broken Spoke, she still plays dates with the 120-EZ band and enjoys playing in jam sessions. 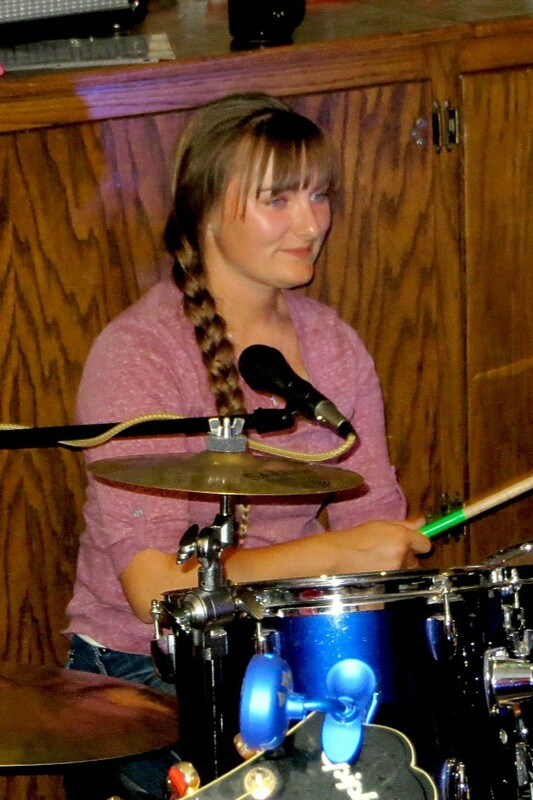 When not playing music she works the cattle on her dad’s farm in the summer and on weekends when no attending classes at Doan College in Crete, Nebraska where she is taking pre-vet classes. 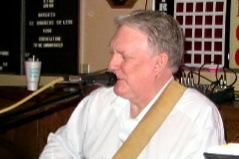 Mike Behnk was born in Plainview, Nebraska and raised in Greeley. 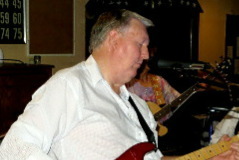 Music has always been a big part of his life. 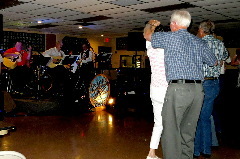 He says he owes his love for music to his mother who always encouraged him to sing and taught him to dance. He learned to whistle at age 5. 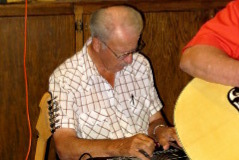 He says, “I remember sitting on the kitchen table singing along to the country music of the day playing on the radio”. 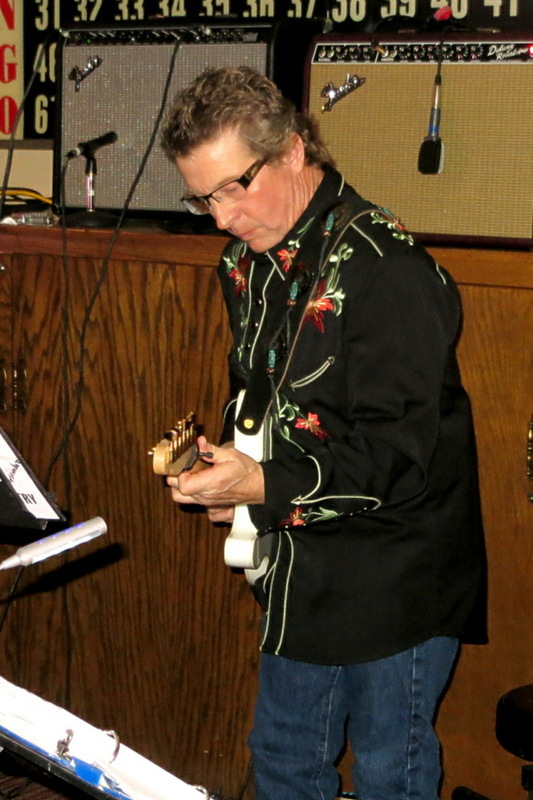 He grew up being a big fan of Bud VanFleet and Bill Legate. 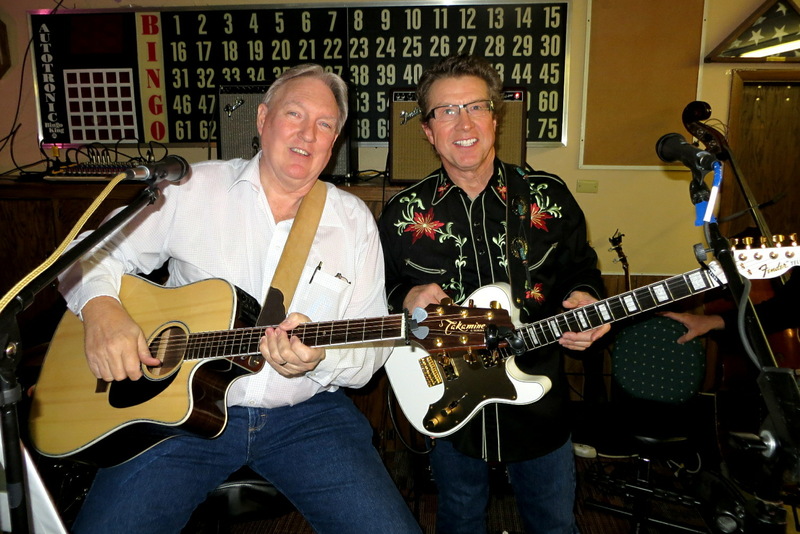 However, there was a period in his life when he neither played nor sang in public but at the coaxing of his good friend, Mike O’Neel, 17-years ago he started again and came back in a big way. 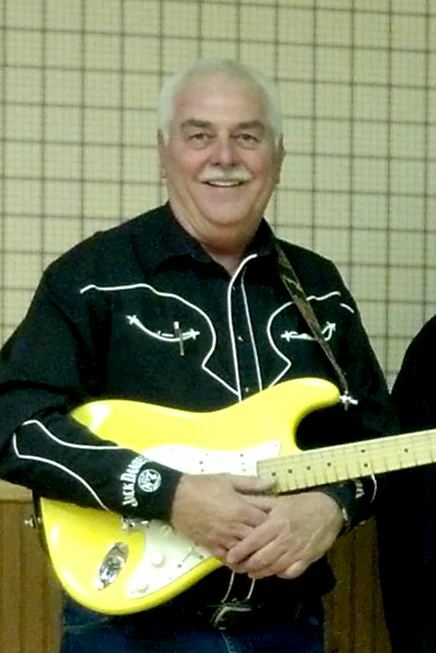 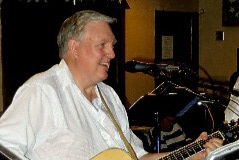 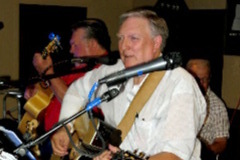 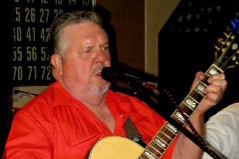 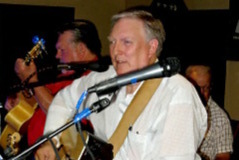 Mike has recorded 2 CD’s and has appeared on the show Midwest Country on RFD-TV. 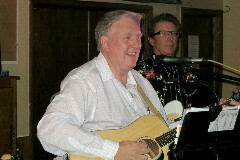 Once you hear Mike sing you can understand why he does it!! 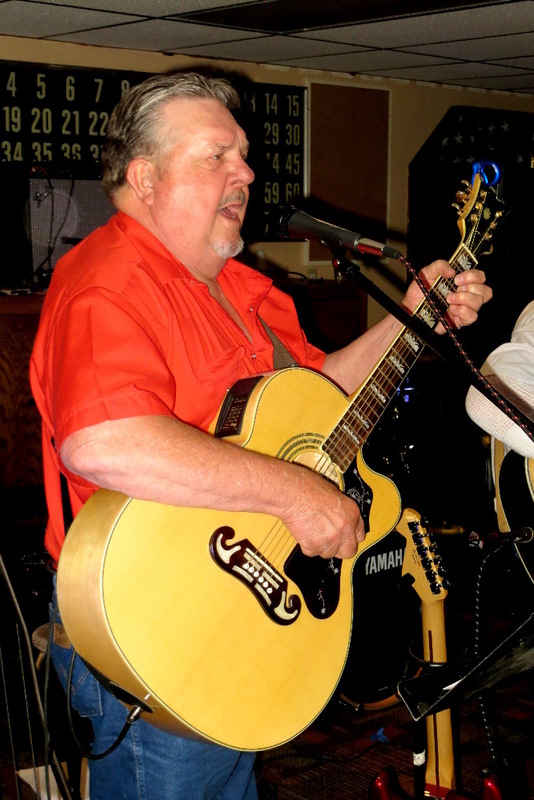 We say he has a 45-caliber voice and we think you will agree. 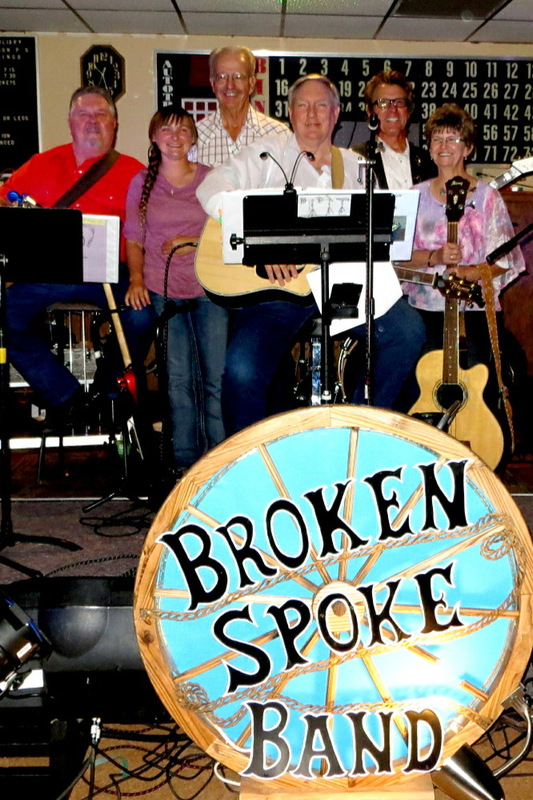 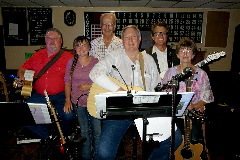 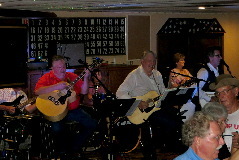 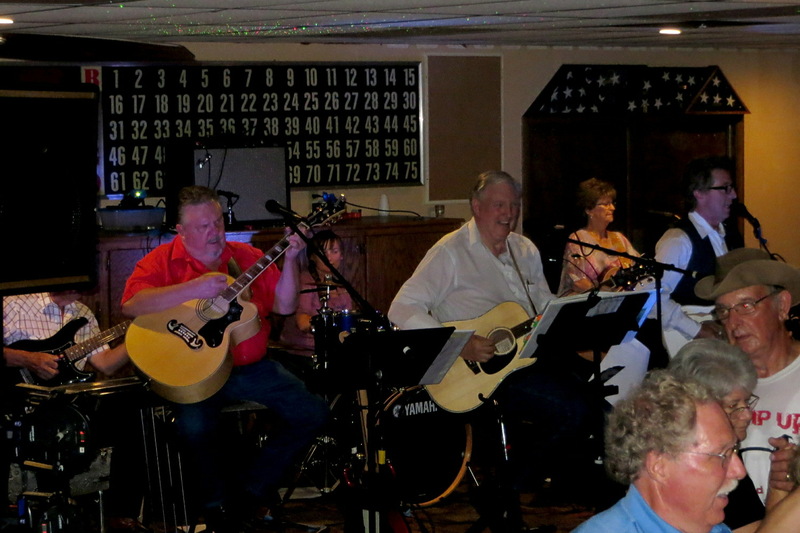 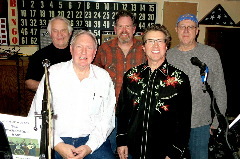 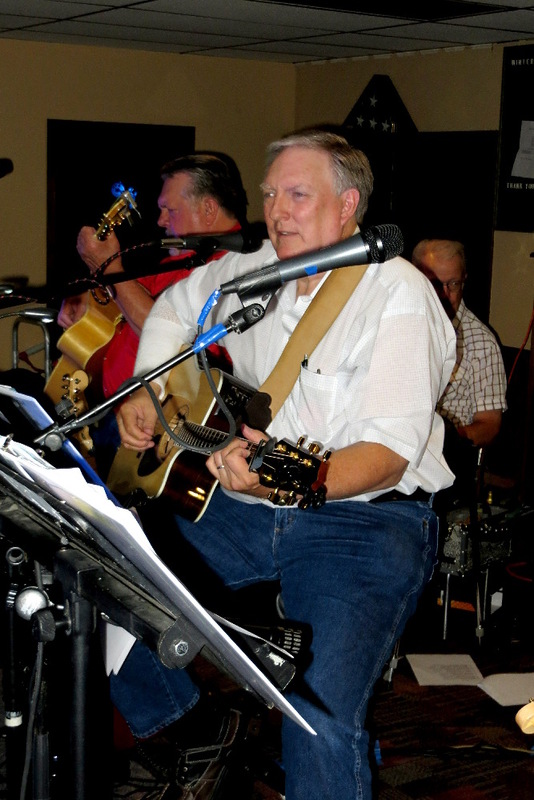 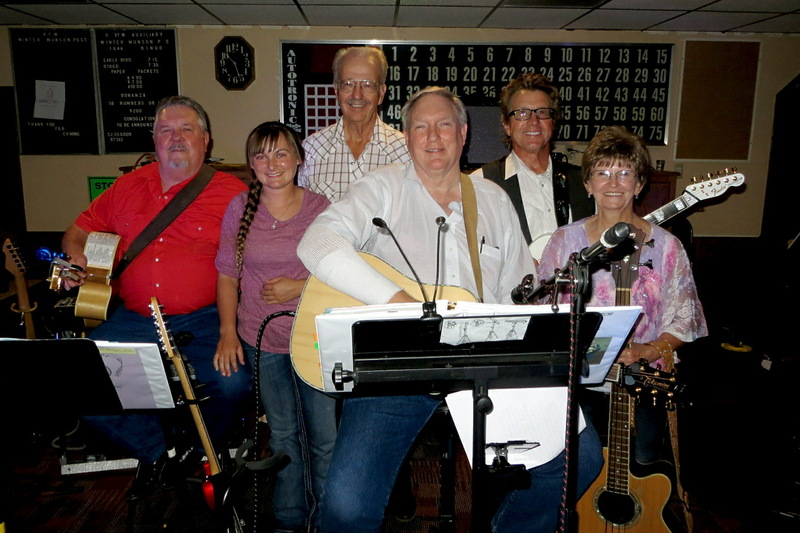 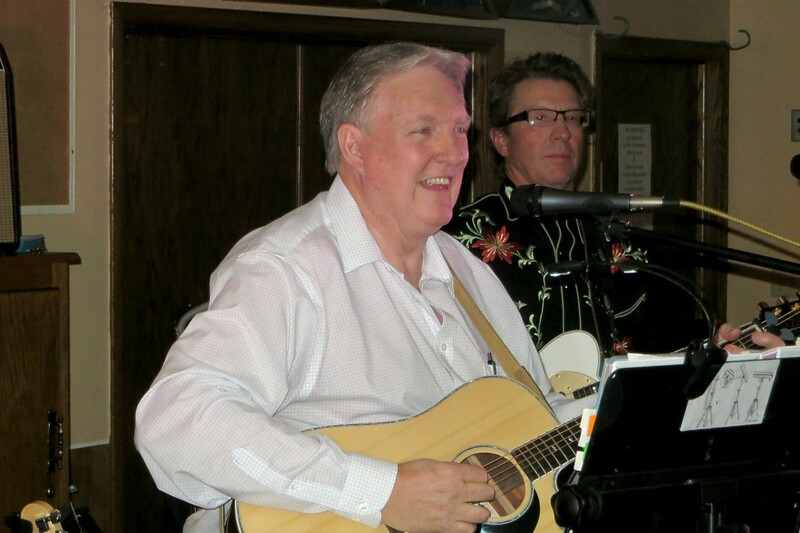 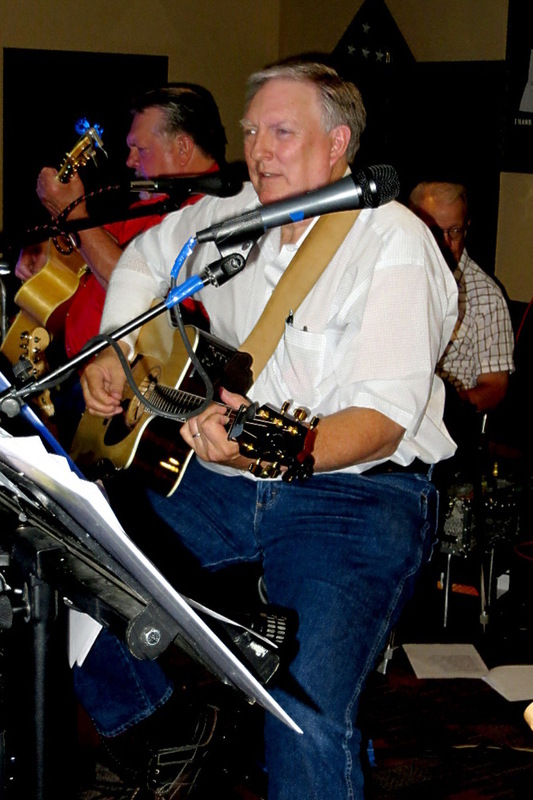 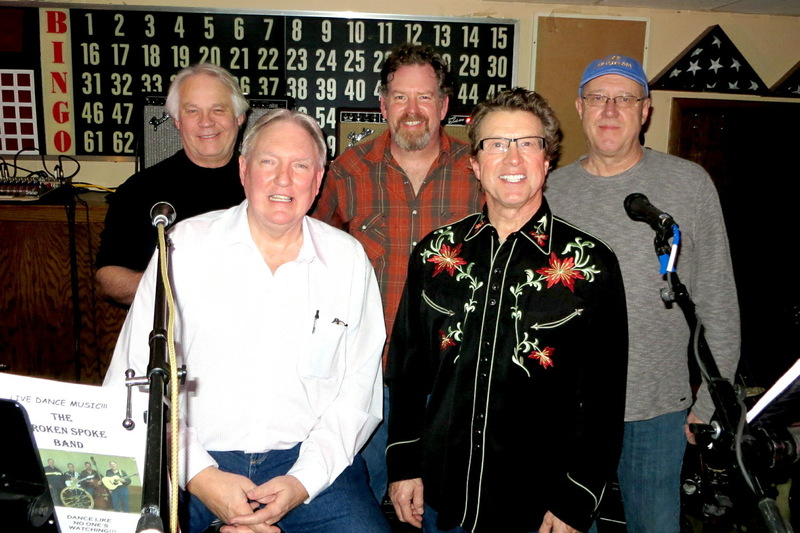 Today, The Broken Spoke Band, a Classic Country band, is one of the top Country Music Dance Bands in Northeast Nebraska, with fans that follow them from Norfolk to Clarkson to Springview, Nebraska! 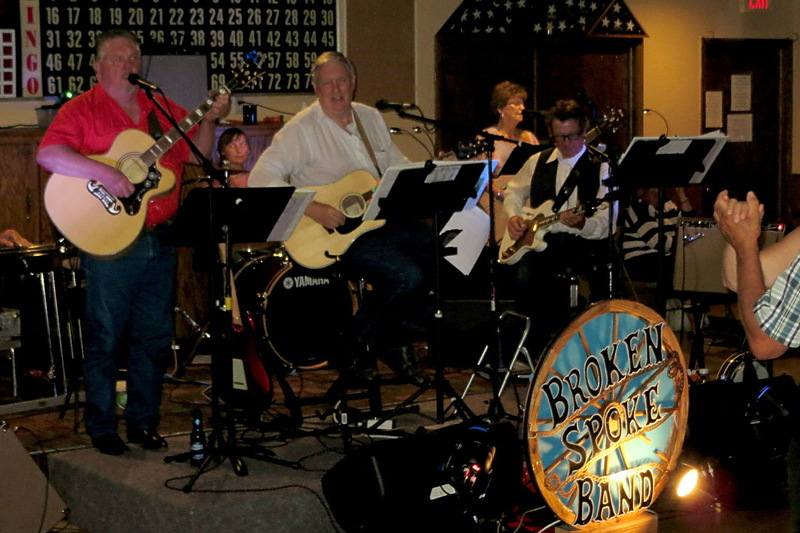 If you're a Country Music fan who loves to dance, don't miss The Broken Spoke Band!